Come and discover the highest mountain peak in Rajasthan in the lap of the Aravalli range known as Guru Shikhar in Mount Abu. 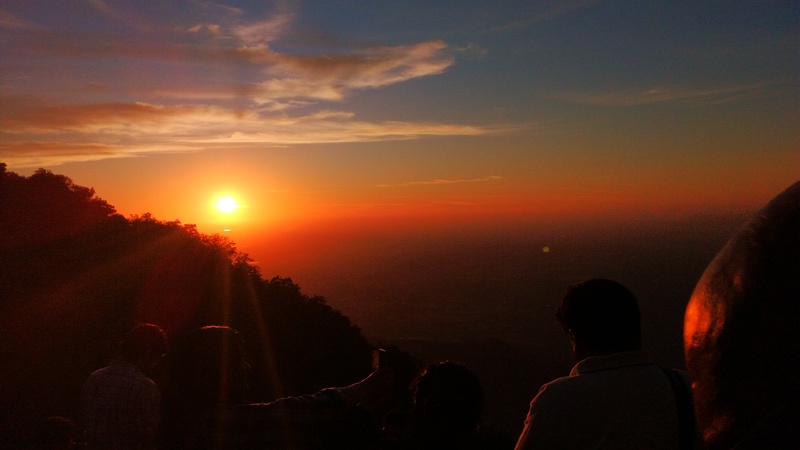 It is the scenic hill located in the only hill station of Mount Abu, Rajasthan. If you are an adventure lover or want to explore Mount Abu like nobody else, Guru Shikhar Mount Abu is the only destination for you. It is located at an altitude of 1722 meters above sea level. Explorers can appreciate a bird's eye view of the whole Aravali Mountains, from the highest point of Guru Shikhar, Mount Abu. While you are reaching the peak, temple Dattatreya is the main attraction at Guru Shikhar. Meaning of Atreya is Atri and Datta is given originated from Sanskrit. Famous Hindu beliefs say that Dattatreya is the son given to sage Atri and his wife Anasuya by trinity Lord Vishnu, Brahma, and Shiva. Mount Abu hotels in the vicinity will provide some historical facts about the temple and peak. Besides Lord Dattatreya's footprint, devotees also worship Swami Ramnath's footprint. It is an important pilgrimage place for devotees of Lord Vishnu as this temple is dedicated to Lord Vishnu. Another temple is on its way to the peak, Ahilya who was Dattatreya's Mother. Since 1411 AD, the colossal bell is there whose sound is carried at a long distance and is captivating. It is also believed that King Prithviraj Chauhan travelled along this peak to meet his bride and carry his marriage with her. 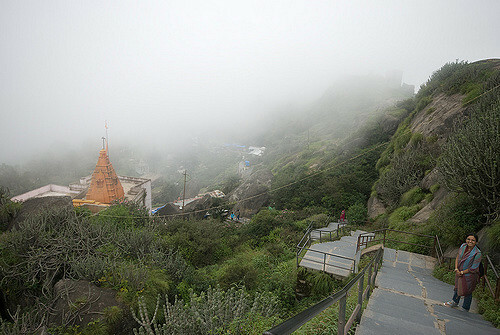 Situated at 14 km from Mount Abu city one can go to Guru Shikhar, Mount Abu by taking Guru Shikhar Road after Oriya Road. On the way, there is a Guru Shikhar Infrared Observatory, which has a 1.2 m infrared telescope. Here an astronomical investigation continuously happens. The moment you start travelling on Guru Shikhar, Mount Abu road, you realize why this peak is so much famous. You can even have a look at Guru Shikhar, Mount Abu on Google Map and you will be able to imagine its beauty. If not, you try asking the desk staff of mount abu hotels for a map or guidance. After you climb to the peak and come back, here are some shops that sell local art of Mount Abu and food on its way to the peak. It is the perfect place to give you photogenic memories due to its panoramic view of topmost hill and town. Best time to visit this place is from November to February. Very few hotels and resorts are there in Mount Abu, Rajasthan who can give you a comfortable stay with all latest amenities available amongst which Humming Bird Resort located at a picturesque location in the lap of Aravalli Hills is the perfect destination for you. All tourists attractions are nearby our Resort that takes less travel time, and transfer services are readily available from our Resort. Come and book your suite now to explore nature's beauty with a panoramic view of the hill station and discover all historical facts about hermitage, temples, and pilgrimage.